Discussion in 'Amps and Cabs' started by katarzis, Jul 30, 2008.
are thos G12H are the hritage or anniversary? and which speakers are better for JTM45? Buddy has one and its loaded with G12H Heritage. i'm going to order one, how can i know for sure? The G12H Heritage will sound thick in a 4x12 cabinet. This might be a good thing, though, for my styles, they MIGHT be too thick. For a JTM45, I'd go with the G12M Greenbacks. I had 4 in a 1960A cab, under a 50 watt plexi, and IMO, Greenbacks were made to order for this configuration. 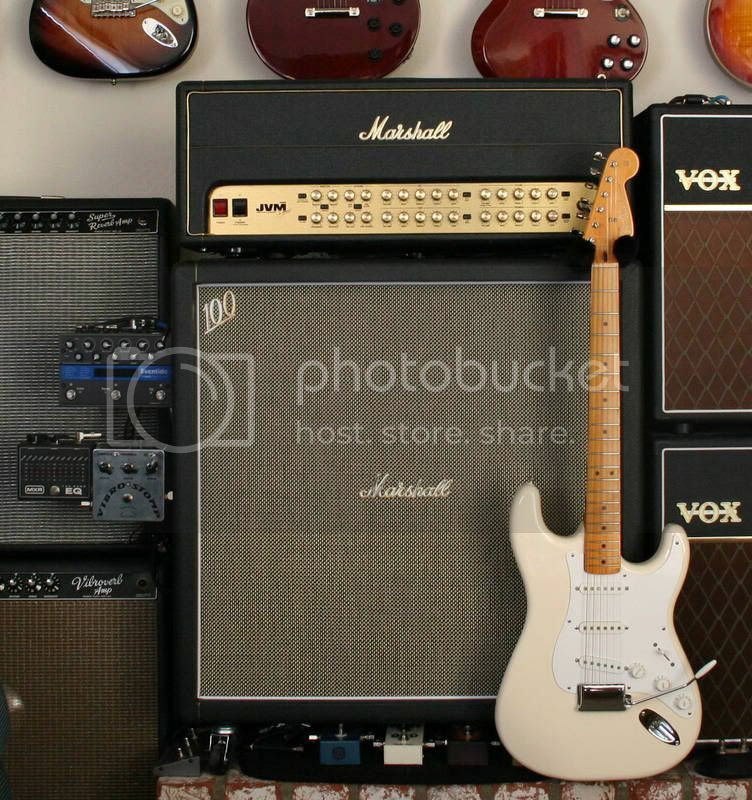 The Marshall AHW 4x12(only available w/Heritage spkrs) is a toneful multi tasker. For blues, rock/hard rock and metal the AHW is being rediscovered by former players of Anniv 30's,V30's, V30/75 X-pattern as being the "go to" cab/cone combination. 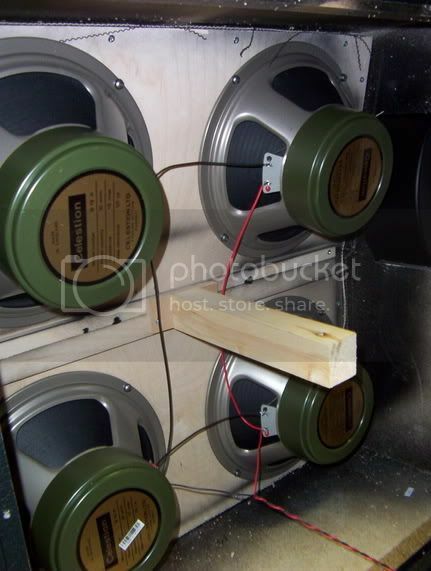 Following a subsatantial break in period of the Heritage 30 Greenback bass speakers of course. Good to hear since a switch of speakers would have quite a change on performance. Ever play a AHW and BHW side by side? Big diffference or subtle? 1960BHW with Heritage G12H-30 speakers...killer! Kostas and Papa Smurf like this. Then I am inclined to believe you...meaning, I have no reason to doubt you. But, can you prove it? Do you have a source or some evidence that the 1960A/BHW cabs will now be fitted with Anniversary speakers instead of the previously used Heritage. With Marshall, I have no doubt they would try to cut costs and they are notoriously lacking in any documentation of their cabs. Just sent e-mail to Marshall to check that out. i also asked at the Marshallforum and they said Heritage too. they say "G12H-30" re-issue" on the Marshall site. as far as i understand the annivarsary are not a re-issue while the Heritage are. Mine had Heritage speakers...but that was one of the first ones that came out...hopefully they havent changed that...great cab, great speakers. "The Speakers in the 1960AHW are neither heritage nor anniversary they are greenbacks." Well, the Heritage does have a green back. Got the answer from Marshallforum.com. The G12H-30 Heritage has a resonance frequency of 55Hz, the Anniversary is 75Hz.